2. Effectively reduce the cost of buying printheads, its closed system prevents dust entrancing, inner filter can filter out 99.9% of the impurities in the ink, which makes the printhead work well and increase its lifespan. 3. Saving labour cost, use it easily, uncessary to look after it all the time, high-capacity ink bottles (1.5L) make you no worry about when the ink cartridges run out, without fear of ink jumping outside, avoiding frequent filling ink. 4. 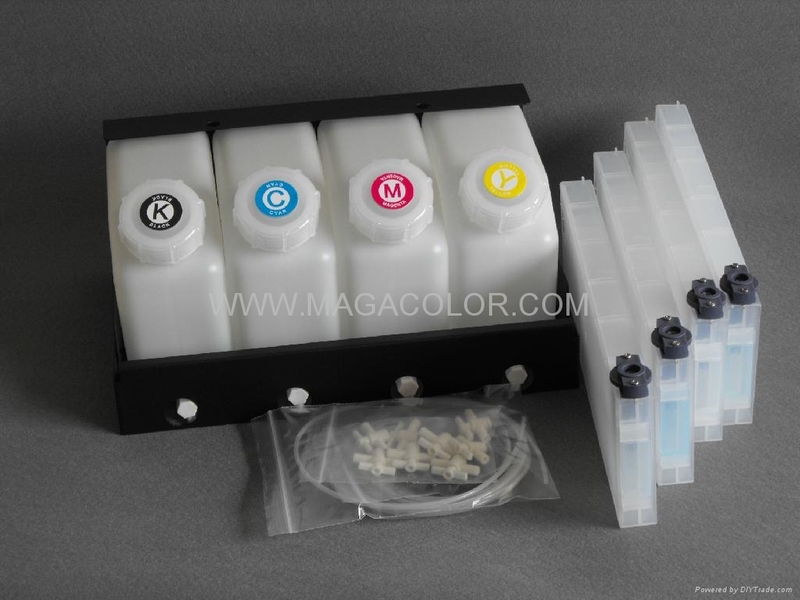 Float ----- the core technology of the system, automatically balance the cartridge pressure, making liquid always maintained at a fixed level, so that the ink is supplied stablely . which avoid ink spilling when the cartridges ink at high level and ink decreasing because of lower pressure when the ink at a low level. 5. In the printing process, no need to stop to fill in ink, avoid ink sloshing and bubbles occurring, so no suddent ink supply suspention, which improves working efficiency . 6. Plug and play, without changing the machine and destroying the structure of the machine, so no influence on the machine warranty. 7. The system provides a single four-color, dual four-color, single six-color, dual six-color, eight color combinations etc,, rational design make use it conveniently. 8. The systems are made from anti-corrosion PP(polypropylene) materials, no secondary ink pollution and greatly improve the life of the system. 9. The system can be taken apart and assembled easily, very easily transported. 10. Once installed, a permanent benefit.